Police intend to serve the arrest warrants in court Wednesday as Penrod is slated to appear before a judge for his charges connected to the Pine Hall Cemetery vandalism in Ferguson Township. 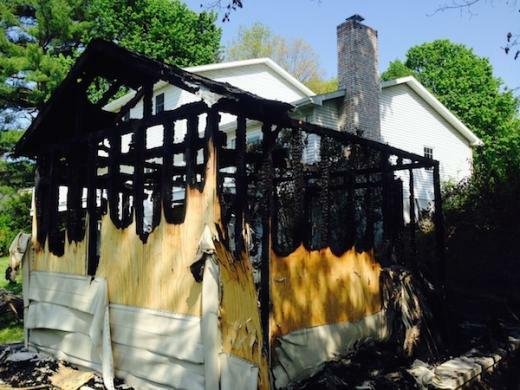 The first arson occurred about 11 p.m. in the 700 block of Windsor Court destroying a large wooden shed located roughly 20 feet from a residence causing roughly $10,000 in damage. Items lost included a lawn mower and several bicycles. Authorities say it appeared someone intentionally set the fire using a small amount of accelerant at the doorway to the shed. Police say it's possible someone gained access to the shed from a bike path to the rear of the property. The second arson was reported around 11:15 p.m. a few blocks away in the 1000 block of Bayberry Drive across from Orchard Park at the end of the same bike path. Police say the fire covered the entire front of the home, where the siding, windows and wooden deck furniture were "soaked" with lighter fluid, according to court records. "The wooden furniture was set on fire with the intent of the furniture then setting the house on fire," the affidavit states. Police say charcoal lighter fluid was used to start the fire and investigators located a canister of the fluid in a trash can near the bike path. Authorities say fingerprints were obtained from the container. A neighbor's surveillance video reportedly captured the incident. Police say the footage indicates the fire was set about 11:06 p.m. and shows a person walking onto the deck and then heading toward the bike path. Soon after, a passerby alerted the two residents inside about the fire and they were able to safely exit. Authorities say based upon the amount of fluid sprayed on the home, if the fire had spread, it likely would have blocked the home's front exits. Police say the fire caused roughly $2,000 in damage. Further investigation, police say, showed Penrod did not return home May 18 to his assisted living apartment before his 11 p.m. curfew, but instead returned at 11:45 p.m. at which point police interviewed him about his activities that evening. During the interview, Penrod allegedly made comments regarding his mental health state and he was then transported for medical care. After Penrod's release, police interviewed him again at his home in front of staff. During the interview, Penrod allegedly admitted to seeing at least one of the fires while he was out, but denied any involvement. The following day, staff at his assisted living home reported Penrod missing. It was the same day the cemetery vandalism reportedly occurred in Ferguson Township. The next day, Penrod returned home where authorities took him into custody for treatment and a parole violation. In a later interview, police say Penrod allegedly admitted to setting the fires. Ferguson Township police filed charges Friday against Penrod for allegedly toppling 15 headstones at Pine Hall Cemetery in May. Police also allege Penrod burned at least one American flag posted at a grave and attempted to enter the secured maintenance shed through a window. In that case, police collected several pieces of evidence at the scene, which led to Penrod's arrest, including a baseball hat, cell phone, beer can, beer and food receipts, footprint and other forensic evidence. 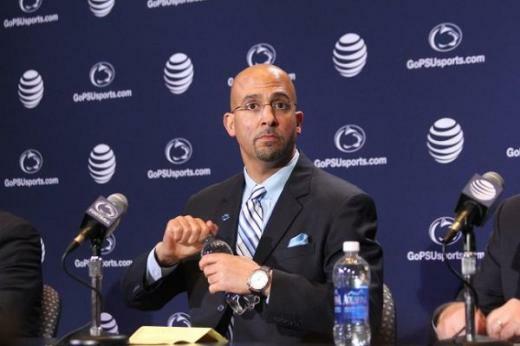 All things considered Penn State could be in a much worse place. Certainly the team's depth isn't what it should be. The offensive line will give fans heartburn and maybe the defense isn't overflowing with proven talent. But in the end that was the whole point of the NCAA sanctions.